FORTRESS: a Wayfarers Story is a tale about today. It’s gritty, edgy, timely End-Times/Christian fiction with no fluff! 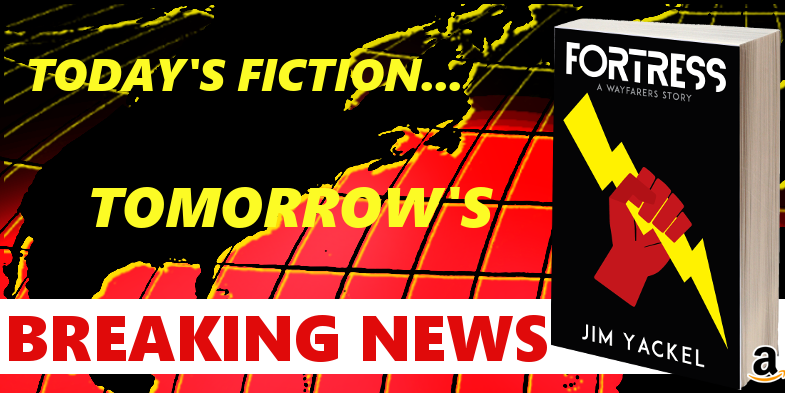 In the story, you’ll meet independent journalist Dave Jamison, and travel with him on a journey that may lead to the scoop of a lifetime, and imminent events that could happen here in non-fictional America. If there is civil disobedience at the hands of domestic terrorists, it’s likely that he’ll be on the scene streaming live on YouTube. The dauntless Jamison will put himself in harm’s way to bring the truth in all of its riveting details to his subscribers on YouTube. But, is there another reason why – one that would take him to the ends of the earth if necessary – that this intrepid indie journalist goes where the Molotov cocktails and bricks fly?